Connex retail data analytics software for unmatched insights and intelligence. Force 1 One’s business analytics software is the driving force behind the consistent and proven success we’ve had in meeting client goals again and again. 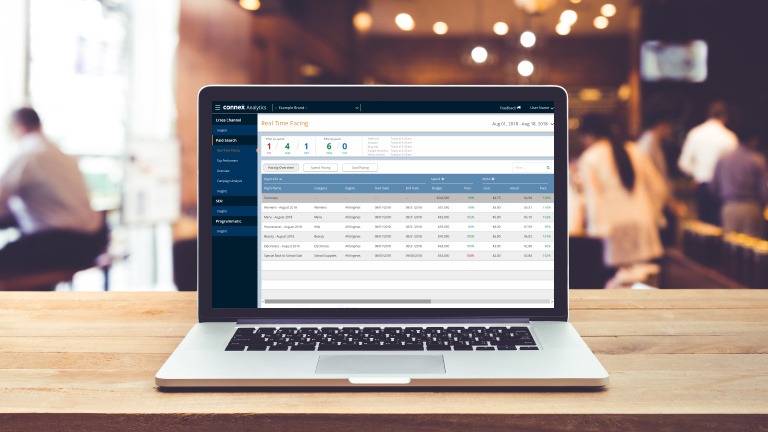 Our proprietary software, Connex, gives our clients the competitive edge they crave in the retail industry—where margins are tight, and competition is high. Connex retail data analytics software allows real-time critical data to be collected by our field merchandisers and delivered directly to our clients in a format that is easy to view, understand, and analyze to make informed decisions. We can customize the reports and survey data that is input, giving you a tailored solution based on achieving the desired results of your key performance indicators (KPIS). Our business analytics software has become an integral part of the marketing and execution strategy for our clients, making us a clear choice for a retail merchandising partner. Increase sales and improve efficiencies with one simple tool. With the live-feedback that our business analytics software can provide, you’ll be able to better assess current store conditions. With a clear snapshot of your brand or retail store’s needs, you can quickly make data-driven decisions to help achieve sales goals. Gone are the days where analyzing store data could mean tasking a business analyst for months on end. Retail conditions and consumer trends change frequently, so you need to be able to react just as quickly. With real-time custom data, you can efficiently make assessments and make field changes quickly, so you can stay ahead of the competition. We understand that this data is a gold mine for your business but could also be just as valuable for your competitor. Our retail data analytics software provides multiple levels of security to collect and protect your data throughout the project. The technical specs you need to make informed decisions. 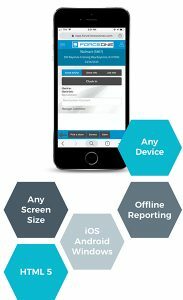 Our business analytics software has a mobile-ready reporting platform that functions across all devices, offering a plethora of features to empower our clients. GPS location is recorded when field merchandiser clock in, ensuring that the data is accurate for the correct store location. Offline reporting is available for reps who have poor cell service inside a store. Data won’t ever be missed because of a poor connection. It will be uploaded automatically once the connection resumes. Customizable reporting options allow us to capture the key data you need for every individual project.